Debbie Macomber’s signature charm shines in this classic novel about a young woman whose encounter with true love is twisted by a heartbreaking dilemma. 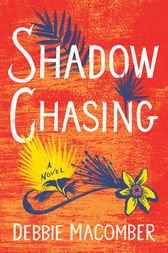 With only seven days to unwind in the sun-drenched splendor of Mexico, Carla Walker isn’t expecting to find “Mr. Right.” Then she meets Philip Garrison, and all her plans for a casual vacation fling melt away. But when Carla finds out that Philip is a cop—just like her father—she’s devastated. She’d always vowed to stay away from police officers and the tumultuous lifestyle that comes with them. Despite their chemistry, and Philip’s persistence, Carla ends the affair. Only when she returns home to Seattle does Carla realize that it hadn’t just been the tropical sun that set her blood afire; it had been Philip. Now she wants him back. But is Carla willing to sacrifice her biggest deal breaker for true love? Debbie Macomber, the author of Cottage by the Sea, Any Dream Will Do, If Not for You, and the Rose Harbor Inn series, is a leading voice in women’s fiction. Thirteen of her novels have reached #1 on the New York Times bestseller list, and five of her beloved Christmas novels have been hit movies on the Hallmark Channel, including Mrs. Miracle and Mr. Miracle. Hallmark Channel also produced the original series Debbie Macomber’s Cedar Cove, based on Macomber’s Cedar Cove books. She is also the author of the cookbook Debbie Macomber’s Table. There are more than 200 million copies of her books in print worldwide.